A pretty odd spot. I had a both warm and fun times, and some really disconcerting negative experiences here in just a few days. There is a lot of history and european grandeur built into the structure of Luxembourg - litterally. There are some seriously old walls and structures here. It is beautiful. The efforts to regain the Luxembourgish language is interesting as well. The food is fantastic, a great confluence of the neighboring countries. There are some fun bars here as well. This would be a great place to be rich. I only passed through Luxembourg on my way to Belgium so I didn't get to see much. Luxembourg City was clean, beautiful, and full of smartly dressed people going about whatever Luxembourg does. Lunch wasn't bad, but I don't remember much of it. 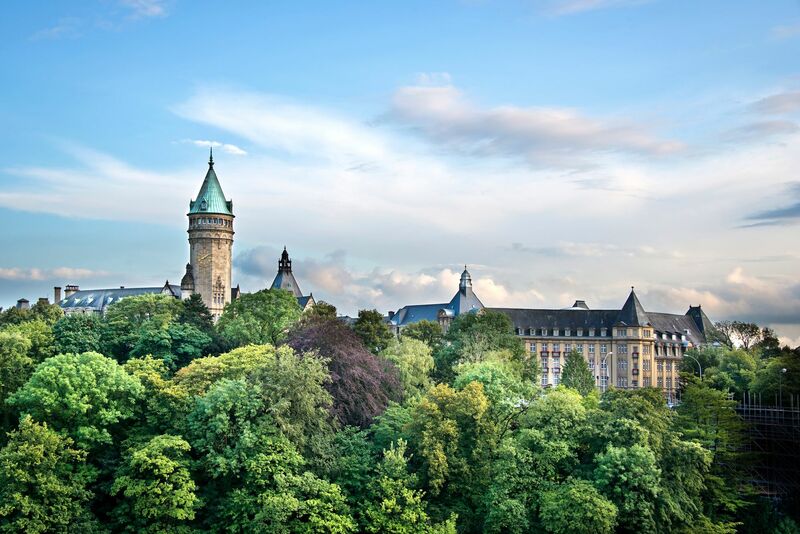 The country itself is about the same size as Atlanta Georgia or New York City (geographical coverage) and many people outside Europe are probably not aware of Luxembourg's existence, but Luxembourg City offers similar attractions as well known European cities: history, great shopping, and diverse cuisines. The most popular landmark in this city is the historic castle ruins that surround the old village area. A really lovely country. I saw the Dukes palace and the American War Cemtery where General is buried. Quite moving. Was a nice city, clean with cool looking streets and buildings. Surrounding area was pretty nice as well. Great sites, view, and culture. Just an amazing place to go. Went there when I was 16, so cant remember everything, but I do remember how fast you can drive and at the age of 16 you can have a glass of wine.